Our first glimpse of the PS4 Neo? Sony is holding a special live event, known as the PlayStation Meeting, where many of us expect it will launch the new PlayStation Neo console – and this is how you can watch it live right now. Update: We've embedded the livestream of the Sony PlayStation Meeting event, so just scroll down to watch all the exciting news unfold! Sony usually holds PlayStation Meeting events to launch new hardware, and while the PlayStation 4 Slim is almost certain to appear, thanks to a number of leaks that all but confirm its existence, the rumours about a more powerful PlayStation Neo (also known as PlayStation 4.5 and PlayStation 4K) have also been gathering pace. So, with the possibility of Sony showing off at least two new bits of hardware (hey, you never know, it may also reveal a successor to the Vita handheld), PlayStation fans will want to make sure they catch all the breaking news by watching Sony's PlayStation Meeting event on September 7, 2016. How to watch the Sony PlayStation Meeting: when is it? Sony is holding the PlayStation Meeting on Wednesday September 7 at 15:00 ET (12:00 PDT, 20:00 BST, 05:00 September 8 AEST) at the PlayStation Theater in Times Square, New York. If the date Wednesday September 7 rings a distant bell, it's because Apple is hosting a launch event on the same day (we're also showing you How to watch Apple's live event). Thankfully, Apple's event starts two hours before Sony's, so if you're hoping for a glimpse of the iPhone 7 as well as the PS4 Neo, then you should be fine. 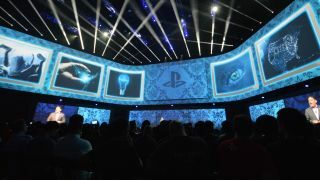 As with previous PlayStation Meetings, Sony will be livestreaming the event, allowing gamers from around the world to watch it live on their PCs, tablets and smartphones. While we don't have the address of the livestream video just yet (we'll update this guide when we do), we're certain that the livestream will be shown on Sony's official PlayStation YouTube channel, the official PlayStation Twitch account and the Sony PlayStation Blog. We've also embedded the livestream, so you can watch the Sony PlayStation Meeting online without even having to leave this page! If you're looking to upgrade your PlayStation 4 or PlayStation 3, then you can use those consoles to see what Sony has in store. There's a chance that Sony will bring out an app for watching the livestream on the PS4 (as it has done in the past), and if so all you'll need to do is open it up on the day to watch. However, if there isn't an app you can still watch the livestream on your console through the YouTube or Twitch app. If you can't watch the Sony PlayStation Meeting live then don't worry – we'll be bringing you all the latest news from the event, so just make sure you keep an eye on our homepage on Wednesday September 7 for all the breaking PlayStation news.